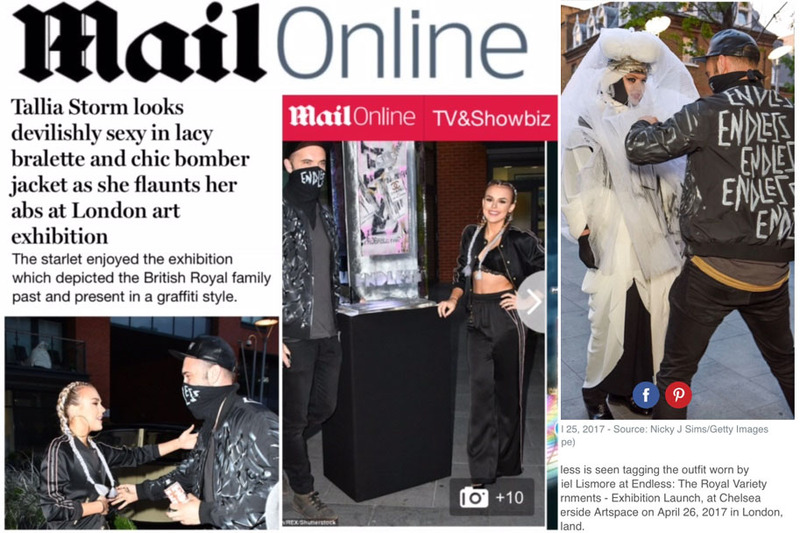 High end street artists @Endlessartist was recently snapped in a custom made Black Tech Bomber jacket by The Daily Mail at the opening night of his Royal Variety Adornments exhibition in London's Chelsea. 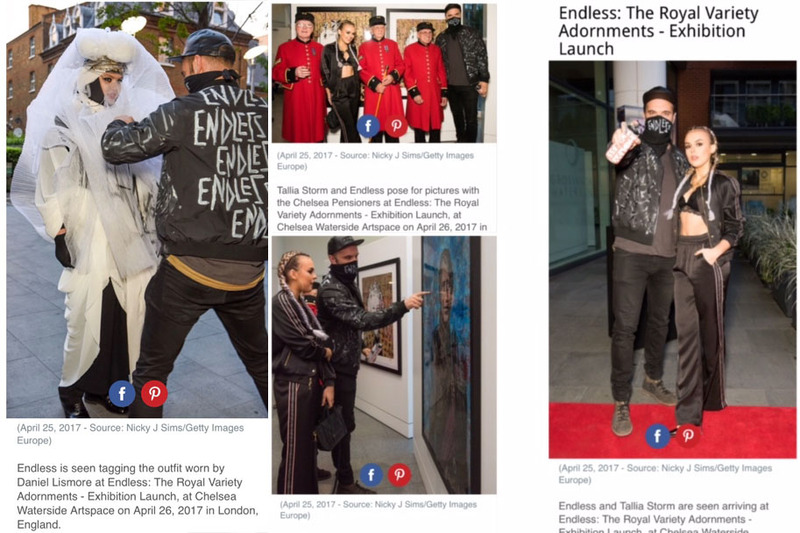 Joined by the likes of music artists Tallia Storm and socialite Daniel Lismore, Endless was showcasing his latest work which depicts the British Royal family past and present in his iconic stencil graffiti style. A long time afficionado of King, he was seen waring the Black Tech bomber jacket which he had customised as well as our Black perforated leather Lab snapback cap. The night was a huge success and Endless will be auctioning off some pieces of work for Charity in the coming months. He will also be producing another one off custom black tech bomber worth over £800 which we will be giving away this Summer to one lucky winner. Join our instagram, twitter and facebook pages @kingapparel to find out all of the details first.